Yeah, there are moments that my kids have more sugar than I'd like or a less than optimal supply of veggies in their system. And the same goes for me… especially when it's nutella- I can't keep that thing in the house- i.just.cant. But I try as much as possible to get those greens in. Kale, spinach and arugula are all pretty tasteless so I sneak them in whenever I can. From the nutrients they provide to the many benefits to overall health, it just makes sense to get them into your system. 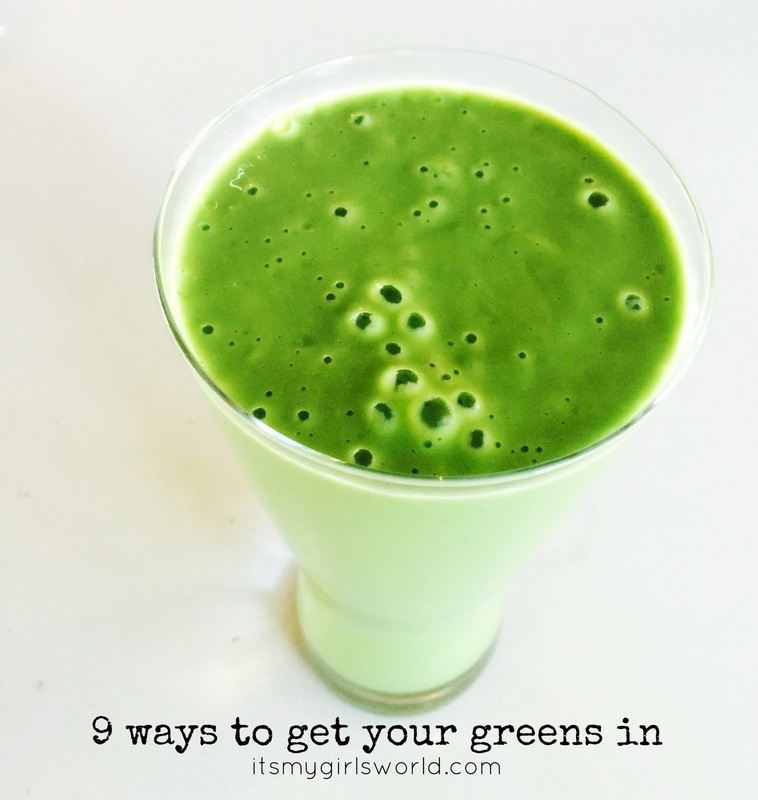 Here are just a few of my favourite ways to get those greens in…. I love to chop up lettuce or kale and then have it in my eggs- either as an omelet, in a quic or scrambled with veggies- I also throw in an onions, peppers and mushrooms as well if they're on hand. I heard they're great scrambled with tofu also but I haven't tried it. Instead of lettuce which is awesome but not as much of a nutrient powerhouse, I throw in spinach or arugula instead. And these go well in pressed paninis too, as cooked spinach is way more palatable than wilted lettuce… ick! obvs :-). Even with the harder kale leaf- like one of my favourite salads here. a handful of spinach towards the end of making your pasta just wilts them and isn't a very strong taste. 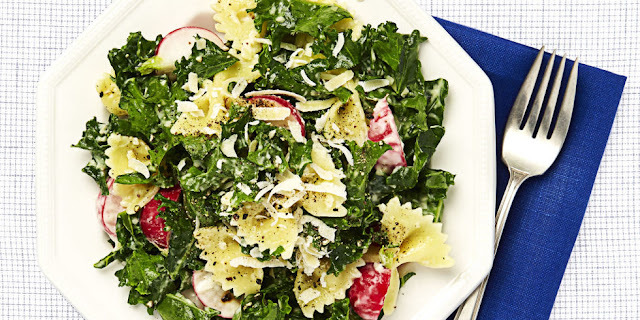 Also pasta salads with arugula and kale are awesome like these here and here. As weird as this one is, I recently threw a couple kale leaves to blend into my meat marinade and it was awesome. It didn't even turn the meat green or anything. Just darkened it slightly. The same for different sauces. Cooked alone and wilted with some olive oil or butter, garlic and onion as a simple side veggie. Or mixed in with other veggies for a stir-fry. Or maybe this spicy Indian spinach dish. I throw greens if I can into my soups, chilis and stews. Or this awesome spinach side dish/soup that we grew up with in the Caribbean. Lots of detail about this one here. So as a sidenote, I didn't mention other leafy greens like chards, mustard greens, collard greens and dandelion leaves as they are stronger tasting and a little less kid friendly…. Having a slight Napolean complex as well, I'm not a fan of bitter so though I'll have it at times, I don't make it for my family. Oh, and I totally omitted kale chips because as much as I try to love them, I kind of don't. What about you? Any other ways you sneak those greens in? Soon I'll be planting chard in my garden! Can't wait to try some new things! Mmm, so many good ideas. That pasta salad looks amazing!!! My latest craze is "zoodles" - such a good way to get veggies in but still a warm "comforting" meal vs. a typical salad. I just started doing green smoothies and I'm surprised how much I love them. I just have to get my kids on board now! Maybe some of your tips will help. Wish me luck! I add them in smoothies and salads but i know it's not enough. Thanks for these ideas! We pretty much eat a green a day...I make my own kale chips which are so good with a sprinkle of sea salt. Smoothies is an easy way to get the greens in for kids I must agree. Thanks for sharing these yums at Party at My Place today. I use these tricks too! 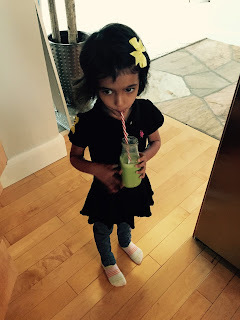 Since my eldest is the picky one the easiest way for her to get the extra greens is by making a smoothie, hands down! Great ideas. I REALLY need to try some of these. Omg I love this post I have to try it! Great tips! I need to try more green smoothies.